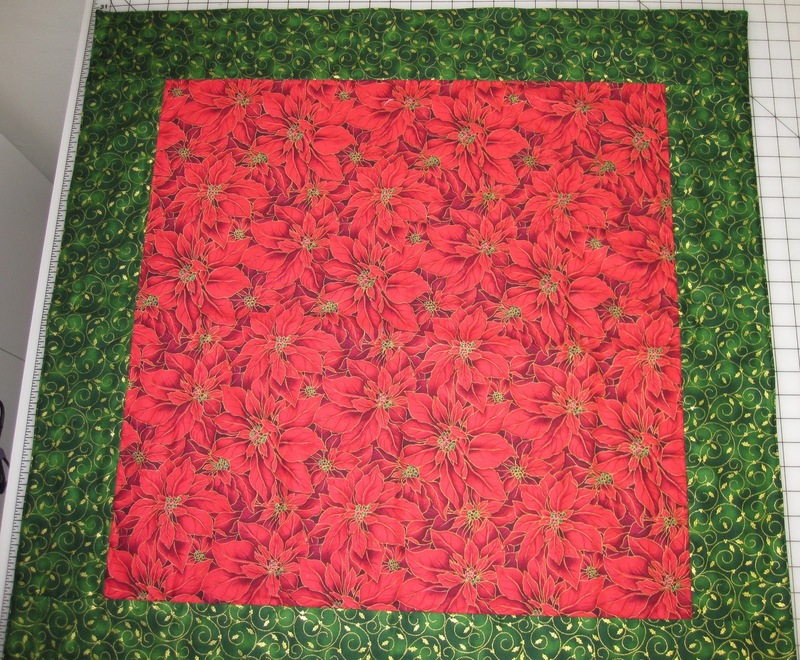 I made this cute table runner for Auntie Ann and her friends annual Christmas dinner at their local church. Everyone decorates there table with a theme and they get very competitive. So this year their theme is "Happy Birthday Jesus". Then I made the back with a fancier print so they can use it next year for a sophisticated theme. I figured the back might as well be functional, plus that saves me from making another one next year! The year after that I'm sure I'm out of luck! 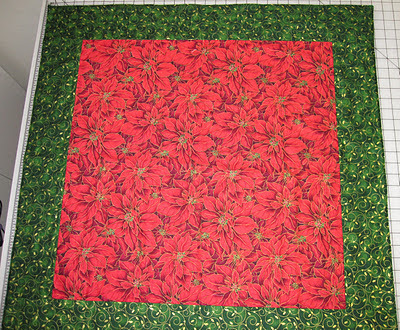 ﻿I have the block put together on my "In the garden" quilt. 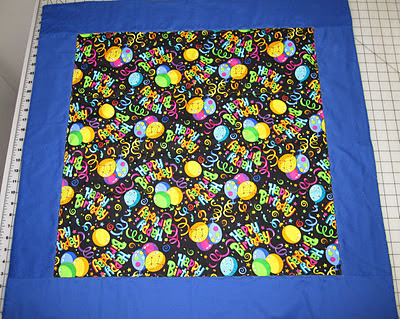 I have two more borders to put on then I can show you the finished top. Still have not decided how I'm going to quilt it yet. 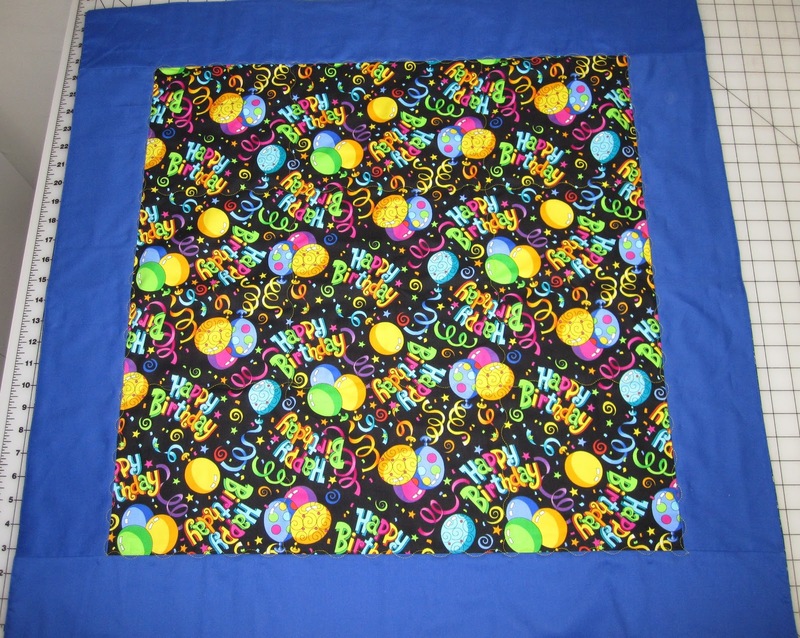 Terri says to hand quilt it but I have never hand quilted....So I'm thinking of doing both and doing a stitch in the ditch on all the straight lines then adding hand quilting throughout. We'll see... lots of time to decide! I have heard about the competitive nature of these events! Too fun...love the table runner.